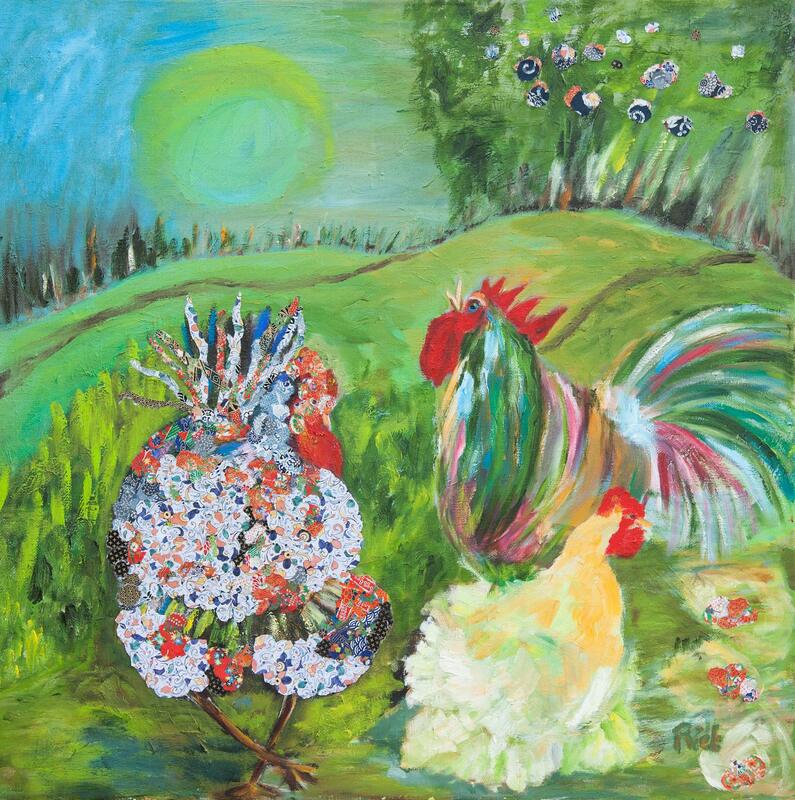 Always wanted to stay on a farm for a few days with your family or with a group? 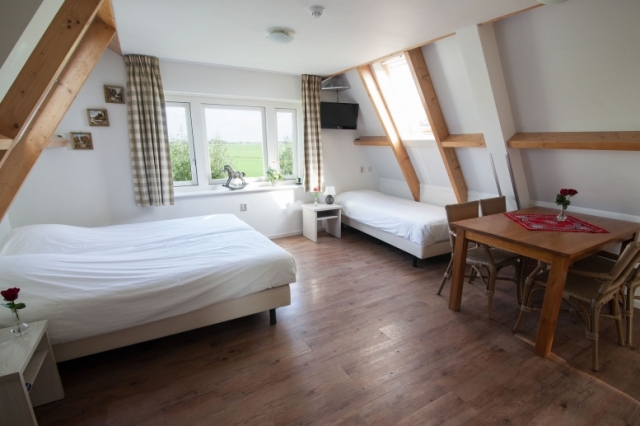 Always wanted to enjoy the Noord-Holland peatland area and the cultural-historic villages and towns all a stone throw away from Amsterdam and Volendam? 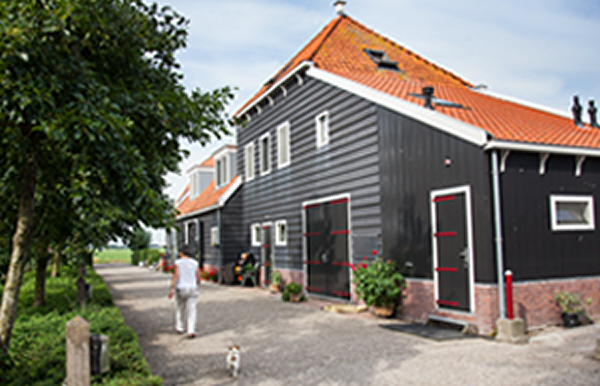 The Overleekerhoeve, situated in the green peatland county Waterland, makes this possible. 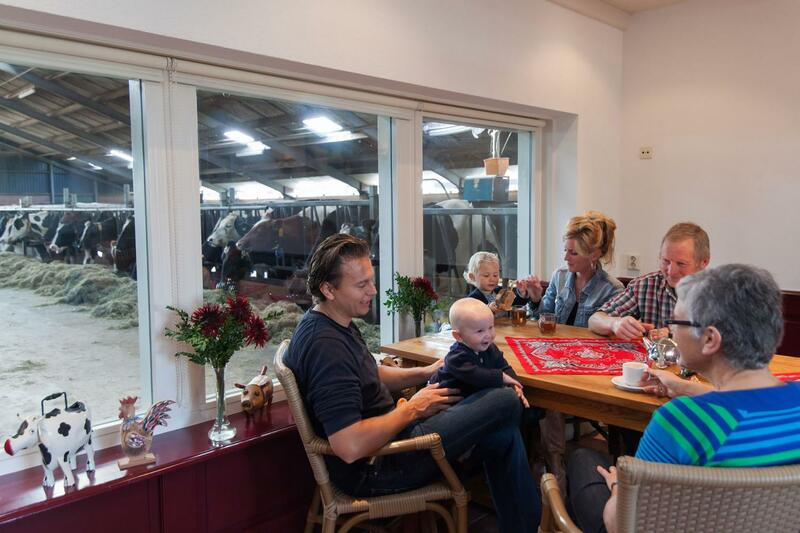 The characteristic longhouse farm Overleekerhoeve, in the hamlet Overleek, offers accommodation, up to 26 guests, segmented in comfortable, luxurious rooms and apartments. 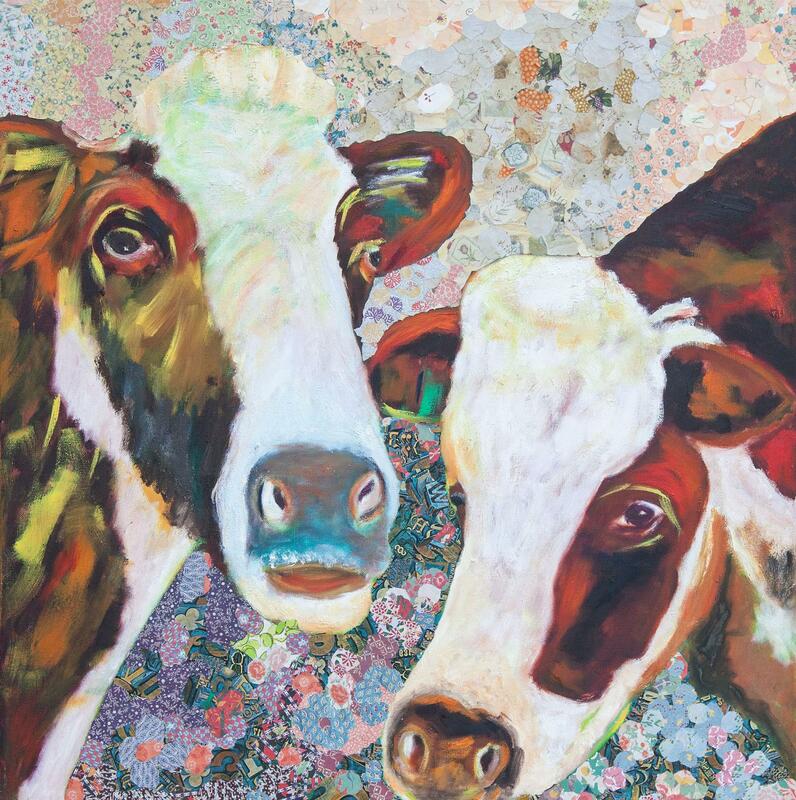 You will share the operating farm with cows, calves, sheep, lambs, pony’s, ducks and chickens. 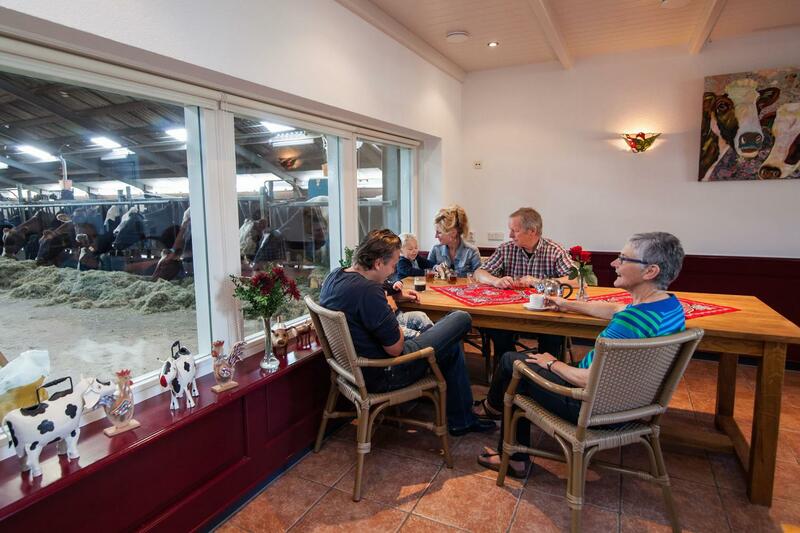 The meeting point is situated in the farmer’s living room on the ground floor. The living room holds a panoramic window view of the adjacent stables for the whole group to enjoy. 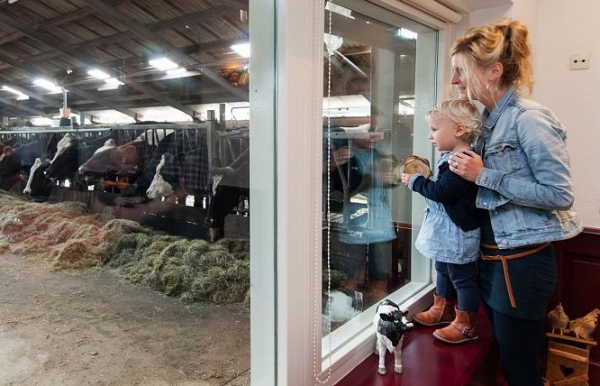 The ultimate farm life experience with all the modern conveniences of home! 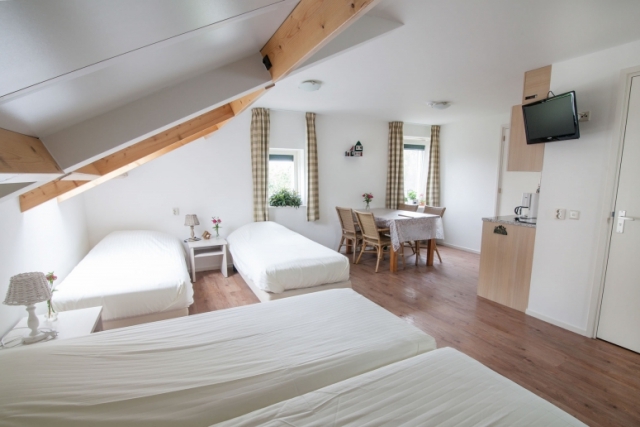 The Overleekerhoeve has attractive, comfortable rooms and apartments for in total 26 guests at its disposal. The apartments are fully equipped; three apartments for 4 and one apartment for 6 people. There are, also, 2 rooms for 4 available. One of the apartments is situated on the ground floor and fully accessible to wheelchair users and disabled guests. All other rooms and apartments can be reached by stairs. The stairs are located outside and inside the farmhouse. Interested in a look at the accommodations? 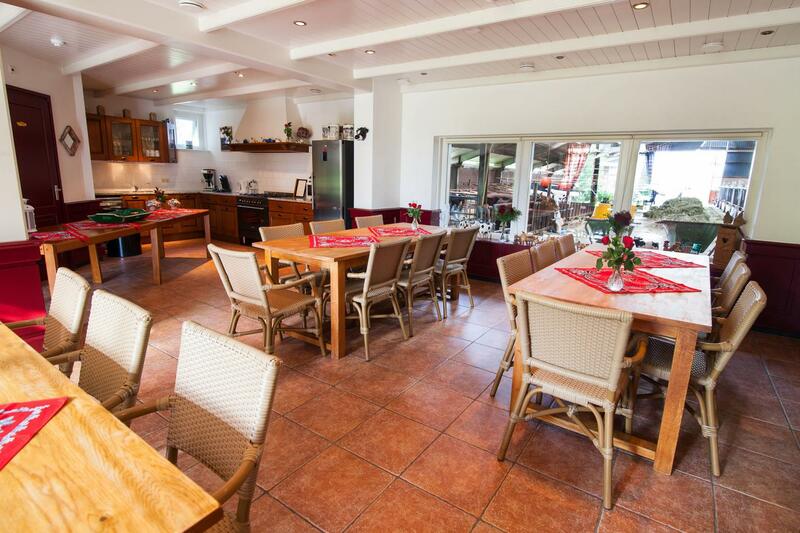 Take the virtual tour of the Overleekerhoeve. All rooms and apartments have cable-TV and free Wi-Fi. This apartment is situated on the ground floor. It is furnished with 4 comfortable beds, a spacious bathroom, with toilet, sink and shower, and a well equipped kitchen with its own dining area. 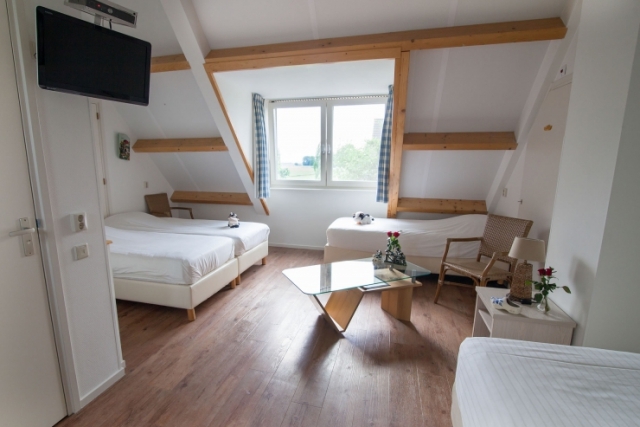 The apartment is suitable for wheelchair users and disabled guests. This apartment is situated on the first floor. 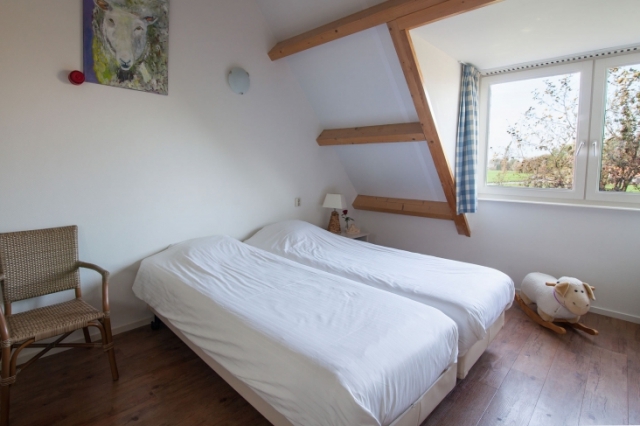 It is a cosy apartment for 4 beneath the pitched roof of the longhouse. The dormers and skylights bring much light and give a breathtaking view of the property and the surrounding farms. A room situated on the first floor just as the apartment The Horse’s Stall. The room offers sleeping accommodations for 4 and has a small seat. 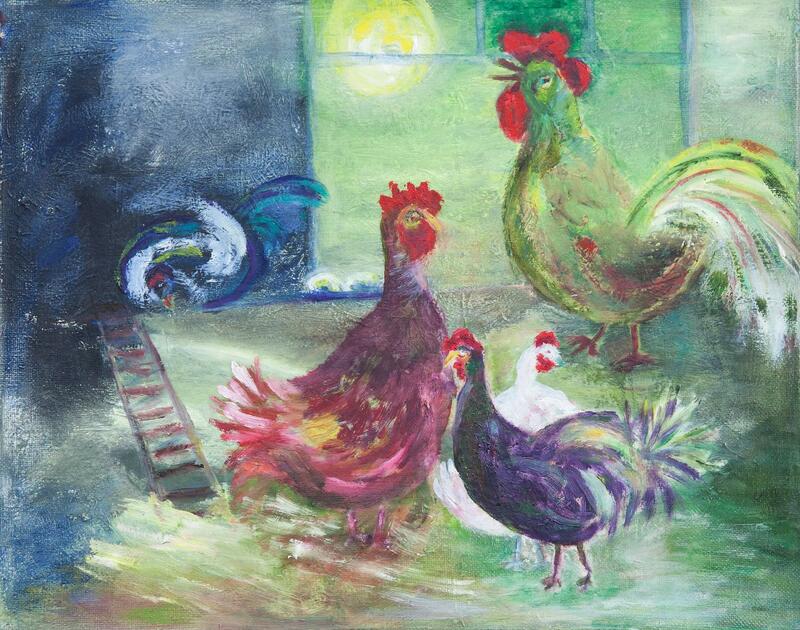 Also, the room has a door which connects to the room next door and, therefore, gives the opportunity for renting that room as well; The Sheep-shed. 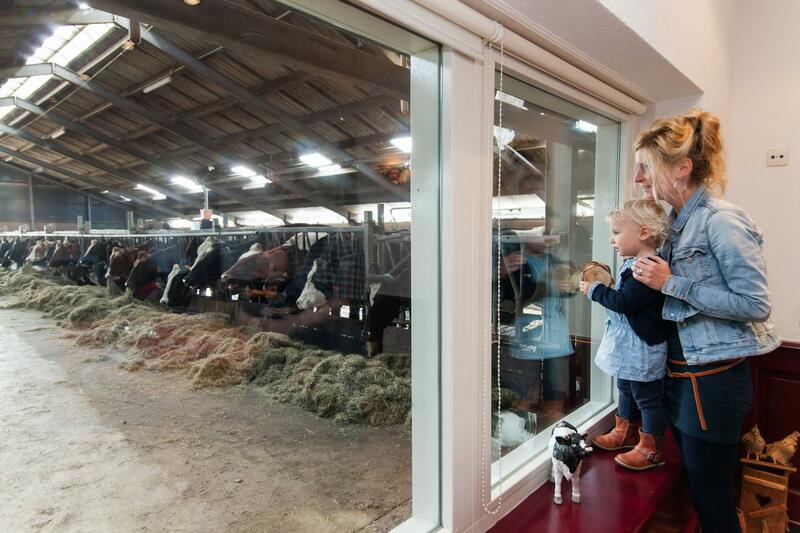 We Dutch have a saying: “many tame sheep fit together in a stall”, but fortunately this room has enough space to fit in 4 guests. 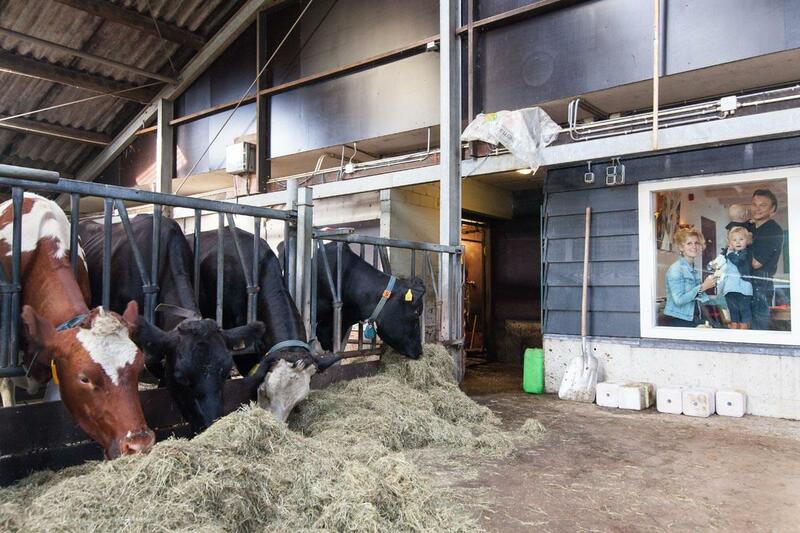 This room is on the first floor adjoining the room The Cow’s Stable. The room offers cosiness due to the pitched roof and slanted walls. The dormers offer extra incidence of light. However, the sheep details create the atmosphere in the room. 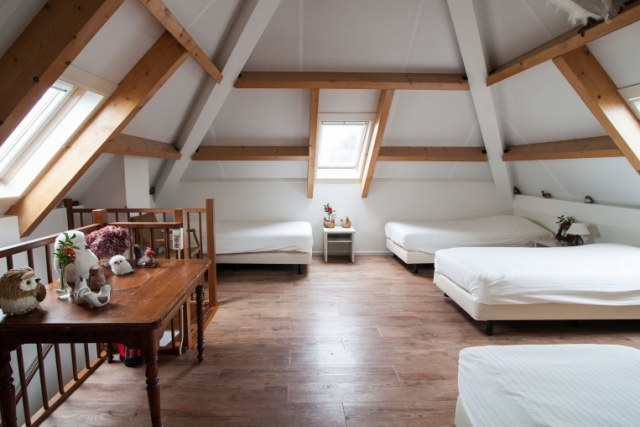 The Hayloft is, also, located on the first floor and can house 6 guests. The apartment can be reached through stairs inside and outside of the Overleekerhoeve. 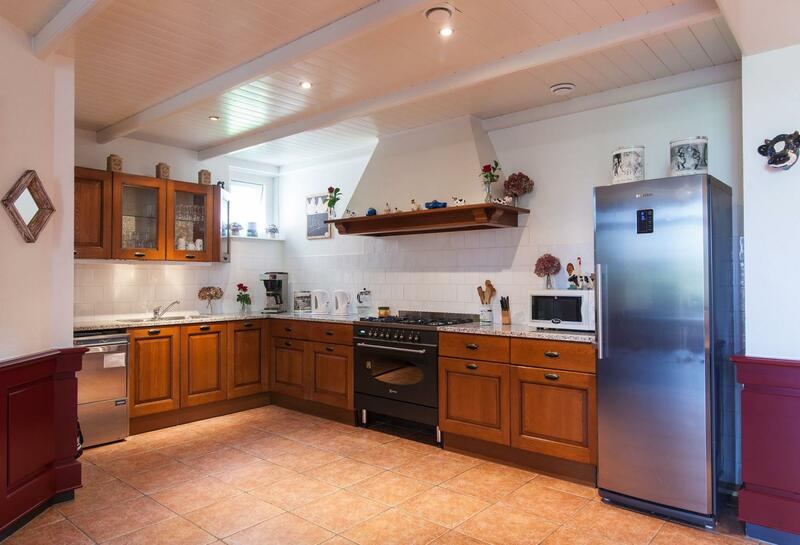 Once more, this apartment is bright and airy with a beautiful view of the property, Monnickendam and surrounding farms. A four-guest apartment with special bird details and situated on the first floor. The apartment has a fully equipped kitchen and its own small dining area. The bathroom of The Birdcage is furnished with a toilet, sink and luxurious bubble bath.